Neptune's playing is famous throughout Japan for its creative style, brilliant dynamics. and amazing range of tonal colors. He is also well known for his compositions, which in masterly fashion combine diverse music of the world into something tonally original. Dance for the ONE in Six is an excellent example of this originality. 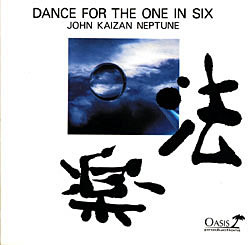 In this completely acoustic album Neptune employs Indian rhythms and scales, other Asian music elements, and jazz, as well as tastefully utilizing some of his ingenious new techniques. While many musicians struggle to keep up with new trends, Neptune has carved out his own path and has been waiting for the rest of us to catch up. In Dance for the ONE in Six there is truly something new for us all.